The Pontcysyllte Aqueduct is a triumph of engineering, designed by Thomas Telford and William Jessop to carry the Llangollen Canal across the River Dee. 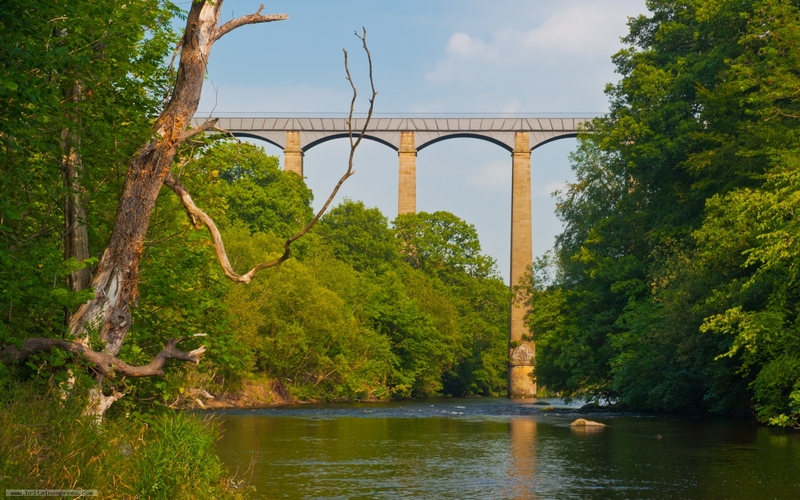 It is both the longest (1007 feet) and highest (126 feet) aqueduct in Britain. It is only wide enough for one canal narrowboat to cross at a time, so you can sometimes see queues of boats waiting their turn to cross. There is a footpath beside the waterway, and it is popular sport for visitors to stroll along beside the boats as they seem to soar through the air high above the valley floor. 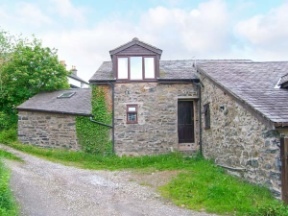 This barn conversion is situated in the village of Llangollen near Ruthin and can sleep six people in three bedrooms.